If you are thinking about shopping in Finland you should know that the prices are similar to the rest of the Nordic countries; quite high. However, it is practically impossible to step come home empty-handed. In the capital, Helsinki, there are a variety of shopping centres where you can find some of the best-known and most prestigious brands in the country, such as Karhu, the signature shoe company; Nanso, one of the most recognized clothing brands; or Marimekko, who makes the most traditional Finnish fashion. Also to the north, in Lapland, there are decoration shops where the design articles show the good taste of the Finns. 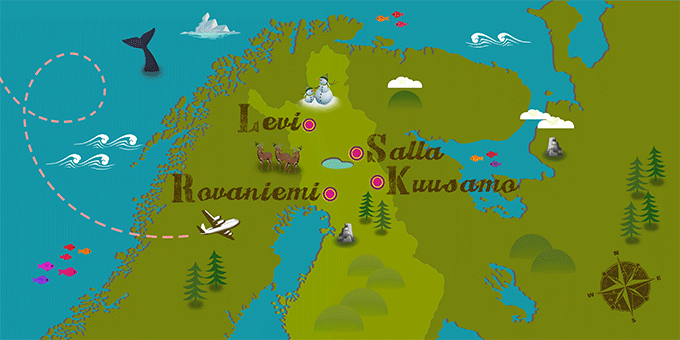 Rovaniemi, the largest city and place of residence of Santa Claus, is the perfect place to recreate Christmas and buy the best Christmas items.